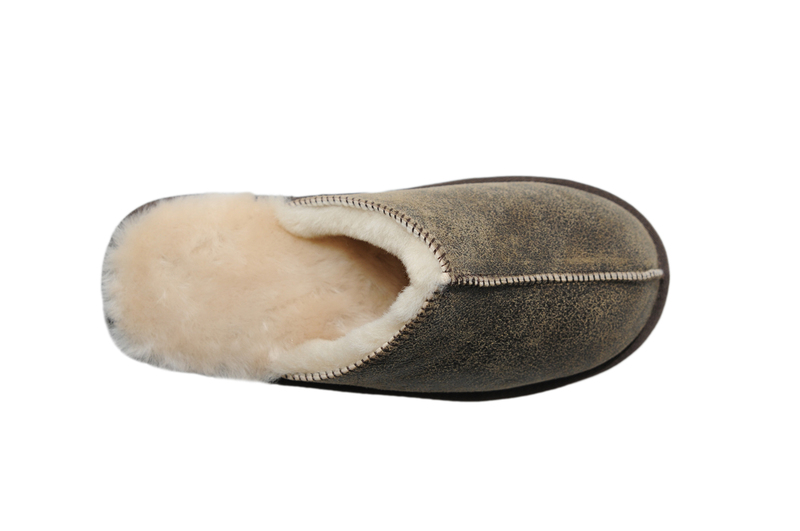 This traditional and practical double face sheepskin slipper has a distressed leather exterior and a plush sheepskin wool interior. 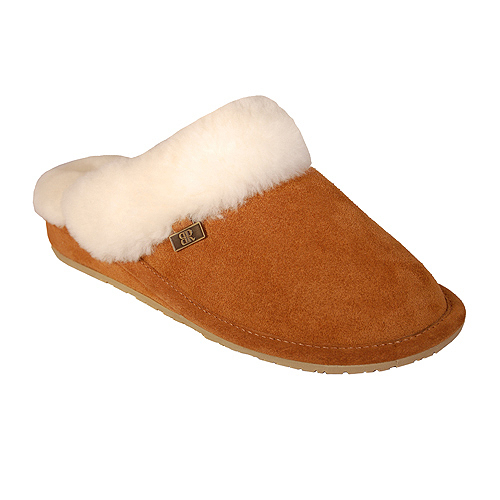 Equipped with an ultra light foam sole and a detailed front seam these are your ideal year round slippers. 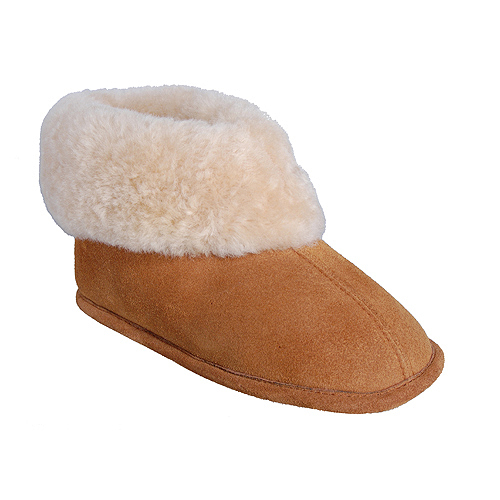 Due to the open back and moisture wicking wool they will keep your feet warm in the winter and cool in the summer. 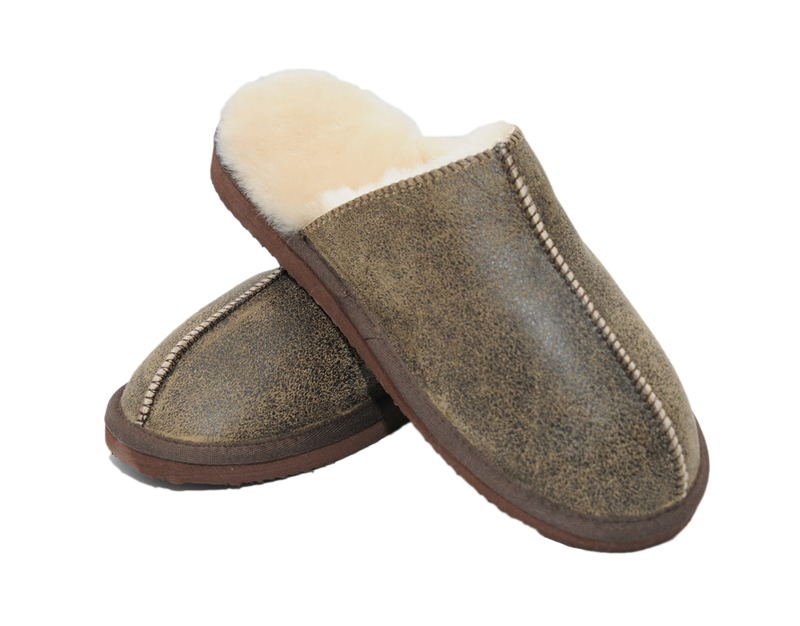 Also, these puppies are super handy since they slip on and off! 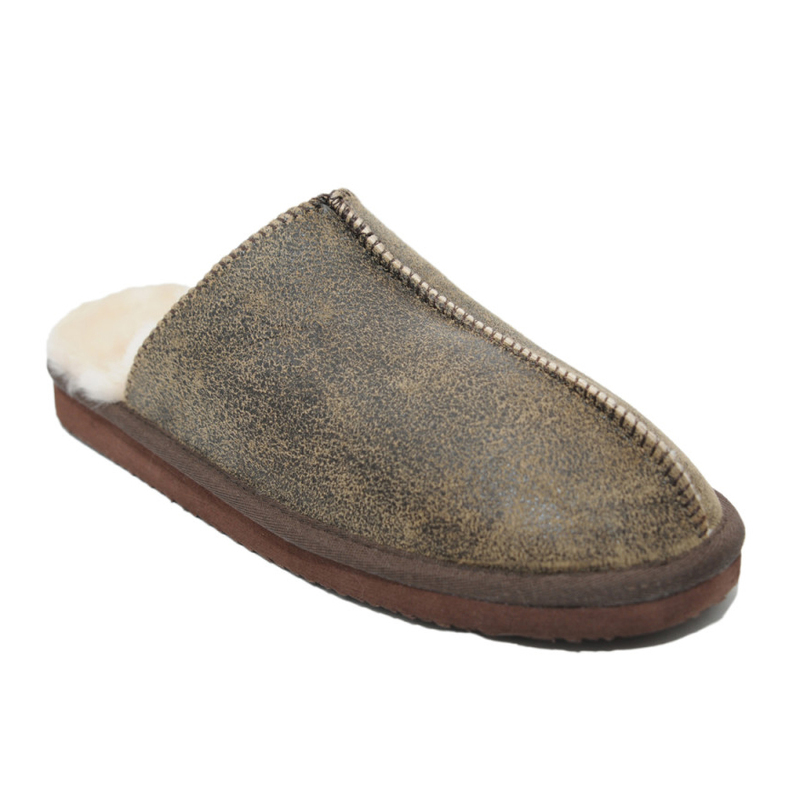 I bought these slippers a few weeks back and think they are fantastic. 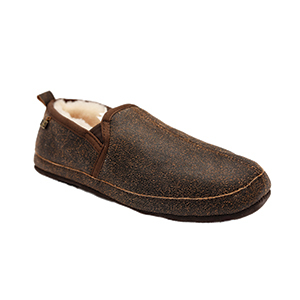 You will pay much more for other brand names but these are at least the same quality for a better price. They are nice and toasty. I love them.